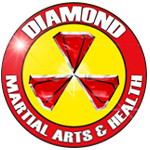 Check out our new website for Diamond Martial Arts! We proudly serve the Coffs Harbour, Toormina, and Sawtell areas! Come see the programs and deals we have to offer. Kids Programs, Adult Programs, and SO MUCH MORE! Don't forget to click here to Like us on Facebook and leave a review on Google+!! !